That’s right—the bluefish (Pomatomus saltatrix). Not only does its temperament earn it a place as the mascot of the Bridgeport Bluefish of the Atlantic League of Professional Baseball, but it also serves as the primary reason why bluefish are a favorite target of recreational anglers. Bluefish are big business around the Sound; fishermen spend quite a bit of money on bait, gear, boats, lodging, and food in pursuit of their sharp toothed, acrobatic quarry. In the fall, as water temperatures cool down in Long Island Sound, bluefish begin their migratory trek southward, and can be regularly seen crashing bait at the surface, chasing and rapaciously devouring menhaden, river herring, shad, and silversides. For the past 31 years, the late-summer “Greatest Bluefish Tournament on Earth,” sponsored by WICC radio, has ushered in the fall bluefish run. This year, Anastasio Makropolous from New York won with an impressive 17.88 pound bluefish and took home the $25,000 purse. 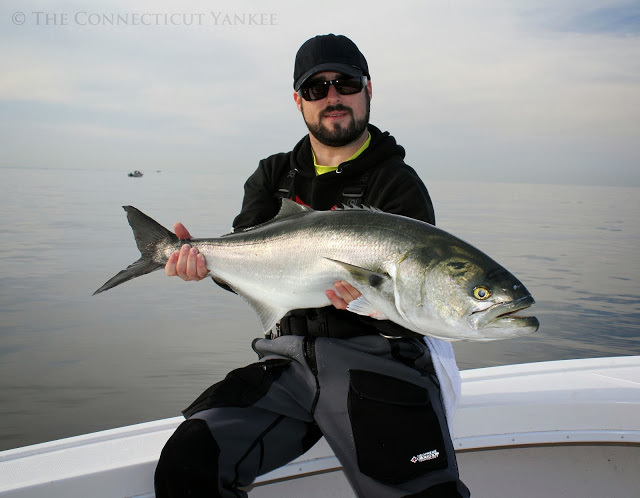 Connecticut anglers, however, posted the most bluefish on the top 20 leader board. But not long ago, in the late 1990s, the bluefish population had reached low, unhealthy levels throughout their migratory range, particularly in the mid-Atlantic, as a result of recreational and commercial overfishing. In response, state and federal fishery managers implemented a nine-year rebuilding plan using catch restrictions and key conservation provisions of the Magnuson-Stevens Fisheries Conservation and Management Act, or Magnuson-Stevens Act, the primary law that governs the management of ocean fish in U.S. waters. As a result of hard work and adherence to catch quotas, officials determined in 2009 that the mid-Atlantic bluefish population had rebounded and was no longer depleted. From New England to the mid-Atlantic, the same story of overfishing, leading to stock depletion, followed by rigorous rebuilding management and eventual recovery, holds true for many other valued fish and mollusks, including sea scallops, silver hake, and summer flounder. Since 2000, a total of 34 once-depleted fish populations in U.S. ocean waters have been restored to healthy, sustainable levels through management plans that employ two key principles. First, stop taking more fish in a year than nature can replace (in other words, end and prevent overfishing). And second, rebuild overfished populations to healthy levels in as short a time as possible. Successful management plans use a combination of proven methods including setting annual science-based catch limits, incorporating measures to ensure accountability for meeting the catch limits, and setting targets and timelines for achieving the ultimate goal of a rebuilt population. Protecting important fish habitats and minimizing bycatch (the unintentional catch of non-target species) are other important elements, but do not consistently get the attention they deserve in rebuilding strategies. During the past decade, the success of the Magnuson-Stevens Act in restoring ocean fish populations in our region and across U.S. waters is unquestionable, and the progress must continue—not backslide. We need to maintain and build upon our recent record of success to ensure fishermen, seafood lovers and ocean ecosystems can all enjoy the benefits of more fish. As of 2014, there are 40 officially overfished populations, according to the National Oceanic and Atmospheric Administration. We still have significant work to do. Congress is beginning to consider reauthorizing the Magnuson Stevens Act and has the opportunity to defend the important provisions that make the law work and even to strengthen it. Leaders in Congress must not bow to pressures to weaken science-based catch limits that have proven effective in allowing many fish populations to fully recover. They must not cave to delaying rebuilding deadlines either. Now would be an excellent time to broaden the scope of fishery management to consider the larger ecosystem, such as forage fish, such as shad and menhaden, eaten by the larger fish and habitat needs of fish. This will be important as ocean waters are affected by rising temperatures and ocean acidification, and vital habitats remain vulnerable to human activities. We want to see all depleted ocean fish species in U.S waters reach sustainable populations. In 2011, it was estimated that reaching this goal would generate an additional $31 billion in annual sales, and support 500,000 new U.S. jobs that year. [¹] Locally, we want to ensure that healthy populations of bluefish continue to pass through Long Island Sound and that their hard-fighting caricature on the Bridgeport Bluefish uniforms remains a symbol not just of the history off our coast, but of the future. ASMFC defines overfished and overfishing for each stock it manages. 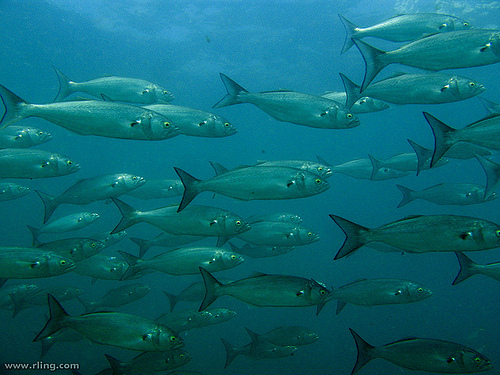 Many stocks are managed and held at a tiny portion of their unfished biomass. It’s managing for maximum sustainable yield which translates into a slow, inexorable destruction of our marine food web. ASMFC and NMFS needs a fumigation.